And how does Glod get away with charging less than $120 (OK, a penny less)? It’s easy since he’s the owner and chief club designer for Tour Edge. 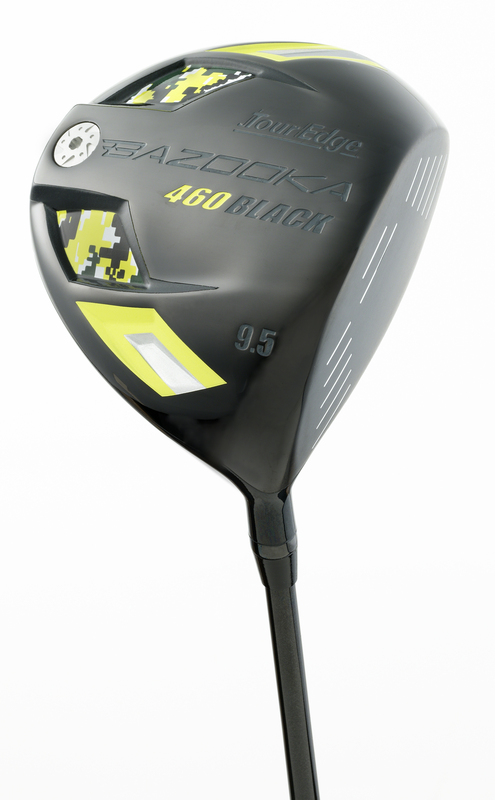 The B460B isn’t some cheap, thrown together club for the sake of embarrassing all those companies charging three and four times as much—though of course it does—it has the benefit of Tour Edge’s experience and expertise which have made them an acknowledge leader in the industry. Thoughtfully designed and carefully made it’s a high performance driver at a price just plain missing in today’s golf market. Targeted at players who want affordable performance the B460B has a 460cc titanium clubhead with a fixed sole weight placed towards the rear which produces a high launch to help give the most distance for players of all abilities. Shafts range from an ultra-light 50 grams to 57 grams depending on flex and the 460 Black is available right hand in 9.5° (stiff), 10.5° (senior, regular, stiff), and 12° (ladies, senior, regular). Particularly attractive, though not related to the performance, the B460B’s PVD finish is highlighted on the sole with distinctive “camo” panels.